Staff photo by C.B. Schmelter / Switzerland's Daniela Ryf greets the crowd as she nears the finish line during the IcyHot Ironman 70.3 World Championship on Saturday, Sept. 9, in Chattanooga, Tenn. Ryf would win her record third Ironman 70.3 World Championship. The Ironman 70.3 World Championships could be returning to Chattanooga, marking the first time the race has duplicated a world championship host city under its current format. Chattanooga also hosted the 2017 event and is one of two finalists to hold the event when it returns to North America in 2021 — the other being St. George, Utah. Event organizers called the city's sports committee in recent months, asking officials if they'd be interested in placing a bid to host the event after the success of the previous world championship race and popularity among race participants. "We are excited to move forward with these two finalists as year after year each city shines by providing world championship caliber venues and events for their athletes," according to a statement from Andrew Messick, President & Chief Executive Officer of Ironman. "The IRONMAN 70.3 World Championship showcases world-class competition at outstanding venues from around the globe." Chattanooga has regularly ranked among the best host cities in the event's annual athlete surveys. The city was voted the Best Overall Host City Experience this year for the full Ironman race and has ranked in the top 10 of multiple categories among the nearly 200 host cities each year it has hosted the race. Ironman officials regularly use the city's race structure, volunteers and overall race experience as the example for other cities hosting the race. The 2017 race was the largest event Ironman 70.3 had ever produced. It brought nearly 15,000 visitors to Chattanooga. It was the first to hold the race over two days, separating the men's and women's race to further highlight the world-class female racers. 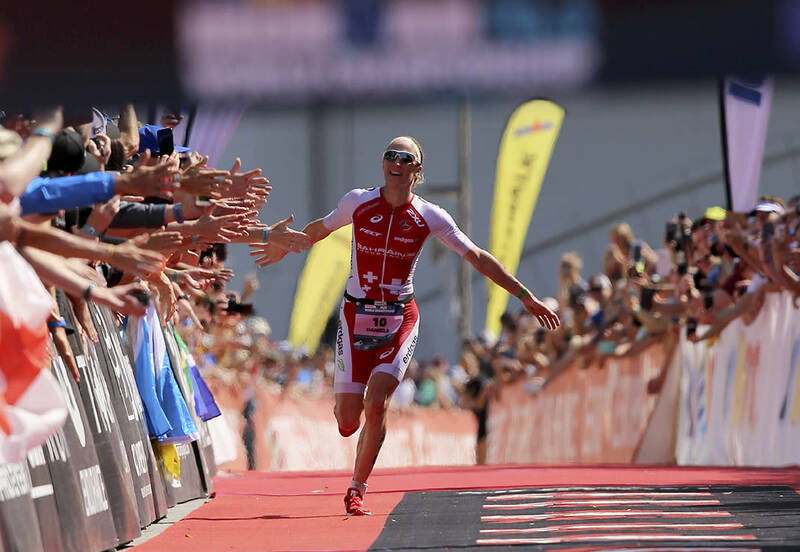 It was highlighted by Daniela Ryf's victory in the midst of winning four consecutive Ironman World Championships and four Ironman 70.3 World Championships — a streak that is still going as she is the reigning champion in both events. "It is an honor to be selected as a finalist and we look forward to the opportunity of sharing the Chattanooga experience with competitors and fans for the 2021 IRONMAN 70.3 World Championship," according to a statement from Barry White, president and chief executive officer of the Chattanooga Convention and Visitors Bureau. The Ironman 70.3 World Championships began in 2006 and were hosted in Clearwater, Florida through 2010. The event moved to Nevada for the 2011 race until organizers wanted a new global rotation, which launched in 2014. The new structure took the race to a different country each year. The 2014 race was held in Quebec, Canada; 2015 in Austria; 2016 in Australia; 2017 in Chattanooga; 2018 in Nelson Mandela Bay, South Africa; and this year's event will be in Nice, France. "We are incredibly thankful to be chosen as a finalist and potentially once again showcase Chattanooga to the IRONMAN international community," according to a statement from Chattanooga Sports Committee President Tim Morgan. "Our community provided an unparalleled experience in 2017 and we are excited with the opportunity to elevate our efforts - we are ready!" Ironman officials will take site visits to both cities before selecting the host venue in the next couple months. The annual Ironman 70.3 Chattanooga will be held May 19. It already has the most registrations for an Ironman event in Chattanooga history and the second most registrants worldwide for any Ironman 70.3 event ever, with the exception of world championship events.